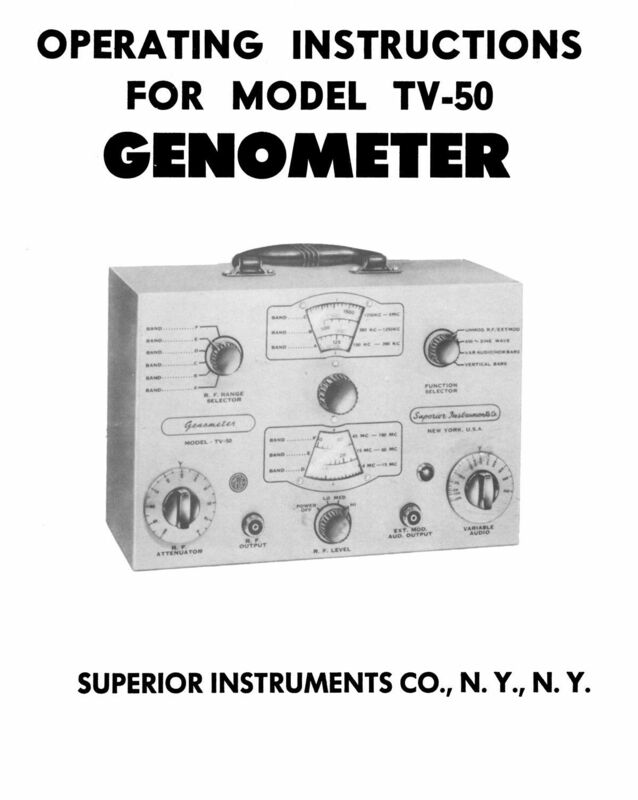 For sale is reprint of Superior Model TV-50 Genometer Operating Manual. 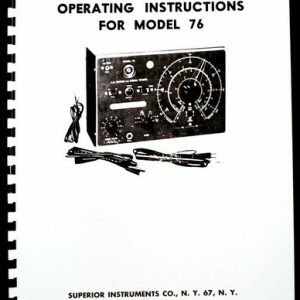 Manual is 12 pages long, Dated 1954. 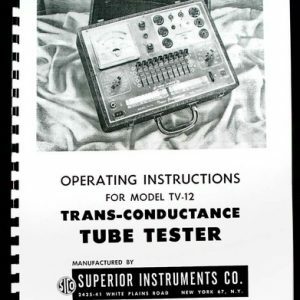 Sections include: R.F. 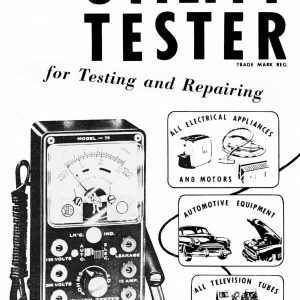 Signal Generator Section, Audio Frequency Generator, Horizontal and Vertical Bar Generator, Cross-Hatch Generator, Dot Pattern Generator, Marker Generator, Calibration and Service Notes. 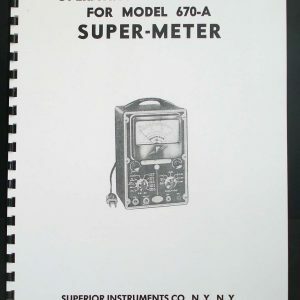 Manual includes schematic.